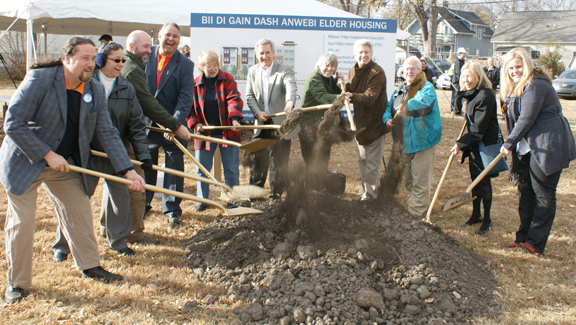 On November 14 the American Indian Community Development Corp had a ground breaking ceremony for its new Native elder’s building Bii Di Gain Dash Anwebi (Come In And Rest). It was attended by State Senator Karen Clark, City Council Members Gary Schiff and Robert Liligren, and officials from HUD and ComondBond. The two housing units will hold 47 1-bedroom apartments designed for elders 62 and over. It will be located at Bloomington Avenue and 24th St. in Minneapolis. 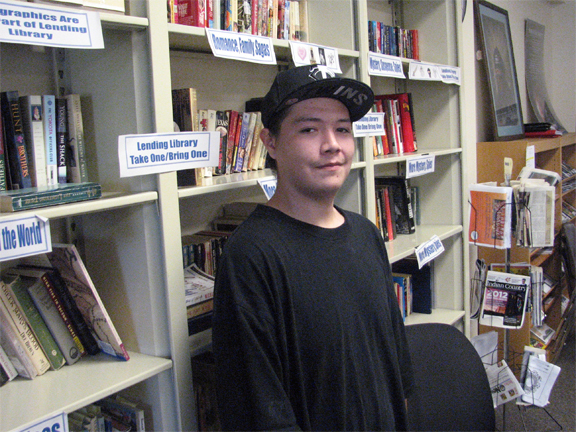 The Twin Cities Native American Youth are seeking support for a toy drive. A collaboration of agencies, youth, and students are setting up boxes for drop off sites at various locations. Toys can be wrapped or not wrapped, and can be for all ages. They are asking for new toys only. All donated toys will be donated to Native American families in the Twin Cities. 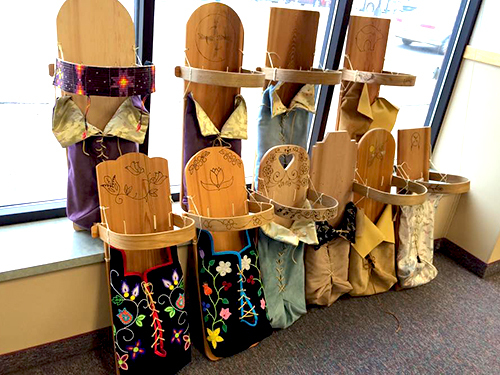 Look for boxes at various locations including the Minneapolis American Indian Center, Healthy Nations Office, Little Earth YDC, Division of Indian Work (lobby), Migizi Communications Inc. (lobby), and South High School (room 133). Donations are being accepted from November 28th through December 15. For more information contact Arlana at 612-721-6631, ext. 202. Colen Frye has re-joined Meyer Group as a Planner/Grant Writer. Frye has over 20 years of experience in economic and community development, planning, project management, renewable energy, environmental review, land management, research, marketing and public relations. She will be responsible initially for heading up the firms efforts in expanding their Tribal Community Development market segment. Frye is a member of the Lac Courtes Oreilles Ojibwe band in Northern Wisconsin and worked for the St. Croix Chippewa Indians of Wisconsin in the planning and development department for more than 10 years. She graduated with honors from Wisconsin’s Indianhead Technical College with an associate degree in Business Management. Mdewakanton Emergency Services recently received the National Native American Emergency Medical Services Agency of the Year award for 2011. The award was presented November 10 by the National Native American Emergency Medical Services Association at their annual conference in Las Vegas, Nevada. EMT/firefighter and Lead Explorer Advisor Nate Crooks and Captain Brian Davis accepted the award on behalf of the Shakopee Mdewakanton Sioux Community. Crooks is a member of the SMSC. "It was a great honor to be chosen out of 70 different organizations as the best," said Crooks. "We were nominated in a six-page letter; they’d never seen one that long before." Mille Lacs Band of Ojibwe EMS Director Monte Fronk nominated Mdewakanton Emergency Services for the award because of the tribe’s outreach with the mobile unit, the Automated External Defibrillator donation program, and department’s willingness to help others. Established in 1986 the mission of the National Native American EMS Association is to support the efforts of all EMS, rescue, and Public Safety organizations who provide services on Native American and Alaska lands.